The rest of the month has been spent travelling, a narrowboat trip from Uxbridge to Limehouse basin along the Regents canal, a short holiday in Spain prior to a weekend working in Monza, followed by a short trip to Paris. 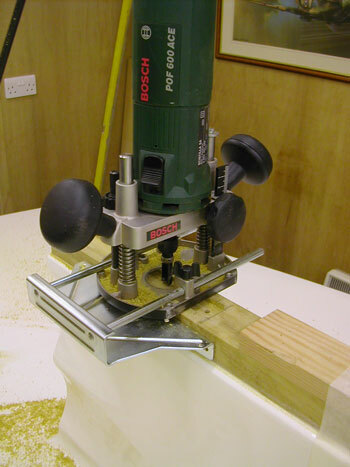 The narrowboat trip was very interesting, for me travelling through London always is. Here we are on the Viaduct over the North Circular when the southbound traffic was stationery at the time. This is the entrance to the Maida Vale Tunnel, Little Venice. The weather was overcast but the rain held off. By the way there's no passing in the tunnel and you have to watch out for the canoeists. Here we are waiting for the lock to fill at Camden. I haven't been to Camden for many years and was amazed how much Camden Market has grown in size. It's a very exciting place. 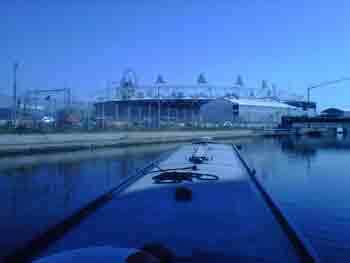 Passing the Olympic stadium on the east bank of the river Lee was quite a highlight. 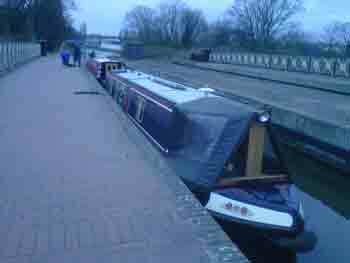 We couldn't use the canal that circulates around the facility so pressed on through the lock and down to Three Mills in the Lee Valley where we stopped for tea. 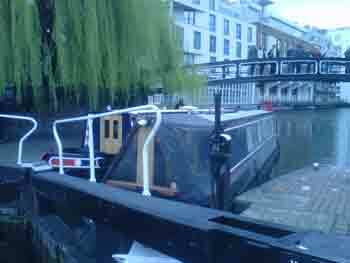 After a short walk around the area we carried on to Limehouse Basin where we stayed for the next two nights. We quite fancied returning to Uxbridge via the Thames but learnt that we needed a VHF radio permit and radio, a new regulation introduced in 2006, which was the last time I checked the rules. Oops... So that put paid that idea. I can recommend a visit to the Museum of London/Docklands which charts the history of London docks from Roman times. There are plenty of eateries nearby as well. 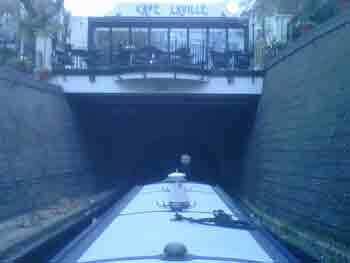 We then retraced out route back to Uxbridge having spend a very enjoyable 4 days on the cut. Come the Olympics this whole area will be full of boats.